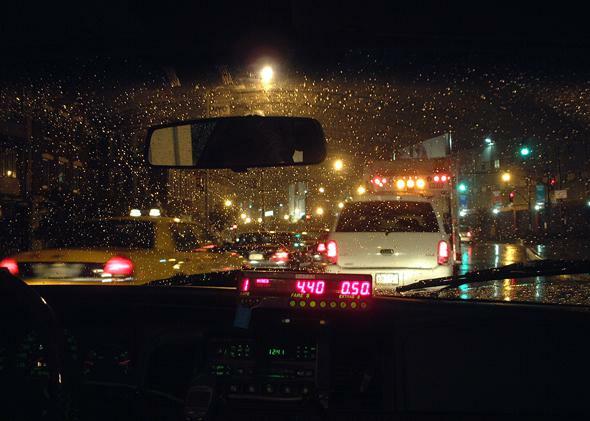 The taxi-meter effect: Why do consumers hate paying by the mile or the minute so much? Why do consumers hate paying by the mile or the minute so much? Every eighth of a mile, there goes more money—tick … tick … tick. Studies have shown that I’m hardly alone in preferring the flat fare—consumers will often choose a flat rate over a metered one, even when it’s not in their best interest. Why do consumers prefer a pricier sure-thing? And are there things that managers and business can do to understand and minimize the mental suffering that customers seem to associate with metered pricing? Back in 1987, Daniel L. McFadden (the Nobel Prize–winning economist), Kenneth Train, and Moshe Ben-Akiva, published an article that showed customers preferred flat rates to paying per minute for their home-telephone bills. Train later christened the phenomenon “flat-rate bias.” Then, in 2006, a doctoral student named Anja Lambrecht—now a professor at London Business School—looked into explaining the psychological origins of this flat-rate bias, also in the context of phone bills. It is her research that first suggested that the explanation for these preferences may be more than just economic in origin. Lambrecht found that the flat-rate bias could not be explained only by the fact that customers prefer the certainty or convenience of flat-rate pricing, or that they are overestimating their usage. Instead, it seemed that consumers actively avoid schemes where there is the possibility of feeling discomfort by mentally linking every extra unit of consumption to an increase in price. In other words, it’s not just a fear that you might underestimate your phone use or the congestion on your morning commute— it’s that consumers hate knowing that each extra minute or mile is costing them money. Lambrecht christened the discomfort that customers feel when the meter is running the “taxi-meter effect.” It appears that in general consumers want to enjoy a journey—or a phone call with a friend—without worrying about their wallets. Surprisingly, however, the “taxi-meter effect” also seems to apply to experiences we don’t enjoy. In a study of retail banking that came out earlier this year, Itai Ater and Vardit Landsman of Tel-Aviv University found that when an Israeli bank stopped charging per transaction and changed to a flat rate, their revenues went up by 15 percent. The previous pricing scheme had charged customers for most interactions with the bank, including check fees and fees per phone-banking transaction. Customers were happy to pay more per month to avoid having to pay per transaction. This work showed that the taxi-meter effect is not limited to a particular industry (previous experiments had focused on telecom), but is more deeply rooted in consumer psychology. I teach budding entrepreneurs at MIT, and my students are always drawn to the idea of “simple” and “transparent” pricing schemes. In theory, a simple, per-megabyte price can reassure customers who are hesitant to try your product or service. For example, I might be unsure whether I should move my computer processing needs to the cloud. If so, knowing that I’ll only pay for the individual documents or songs I choose to upload to the cloud may reassure me that I’m not risking much by trying a new way of doing things. Or so you might think, if you haven’t taken the taxi-meter effect into account. Cloud computing is too recent a development to have been the subject of a study, but it is reasonable to suppose that if the cloud vendor charges per megabyte, it risks producing a taxi-meter effect. Companies may want to communicate transparency, but the unintended consequence may be that they ends up encouraging customers to consume less—and pay less—than they would otherwise. Luckily, it is possible to design pricing schemes that can achieve both transparency and high usage. For example, companies can offer a per-minute or per-megabyte rate as an entry-point pricing scheme. At the same time, they can encourage their more loyal and experienced customers to choose a flat-rate pricing scheme that won’t limit consumption through the taxi-meter effect. Of course, for some firms—a car-sharing service like Zipcar, for example—offering a flat rate may not be possible simply because providing the extra hours of car rental that might end up being demanded under a flat rate is just too costly. However, firms like this can often increase revenues just by reframing how the price is presented. A pricing by the hour scheme may limit consumer consumption, because the taxi-meter effect will make customers rush to return their cars and plan brief and hectic visits to the mall lasting not a moment more than one hour. But offering a fixed price for a period of 50 hours of car-sharing may help to reduce the taxi-meter effect and lead to happier (and more profitable) customers, as it reduces the bite of the per hour price and that dreaded feeling that every extra minute is going to cost more money.